Can we really grow food in Windhoek? An event at Van Rhyn Primary School on World Food Day shows how it can be done. On a tour through the school garden ‘in the making’, visitors can learn about smart water management and a changing agriculture in a changing climate. “It will rain again”, Donovan Wagner from the Eloolo Permaculture Initiative points out. 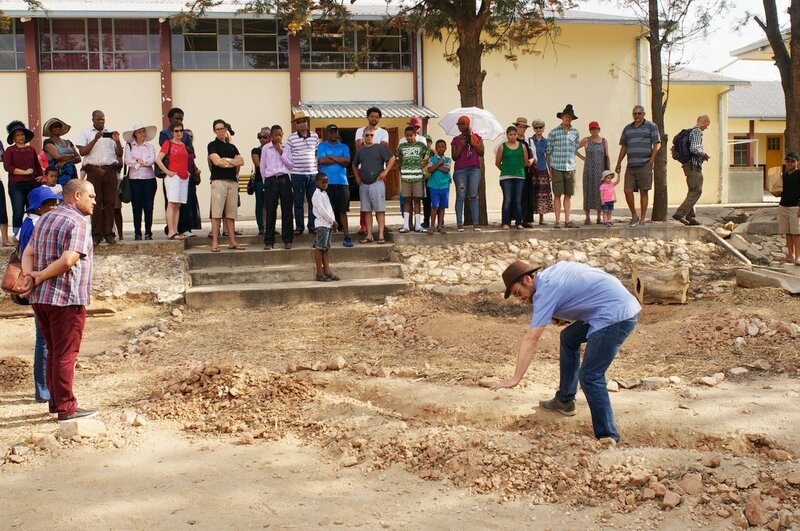 Times without water could be used to plan and structure gardens, for education and training. Eloolo teaches learners at Van Rhyn Primary School about methods to produce food holistically and with minimal input of water, such as Permaculture and aquaponics. Further partners of the event are the City of Windhoek and the World Future Council, aiming to bring elements of the successful food security model of the Brazilian City of Belo Horizonte to Namibia. Hon. 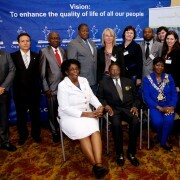 Councillor Fransina Kahungu, Deputy Mayor of Windhoek and Dr. B.D. Mouton, Principal of Van Rhyn Primary School will welcome the guests. 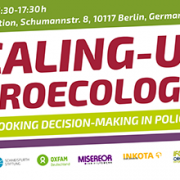 Members of Eloolo Permaculture Initative will explain layout and concept of the garden, especially in regards to water management. 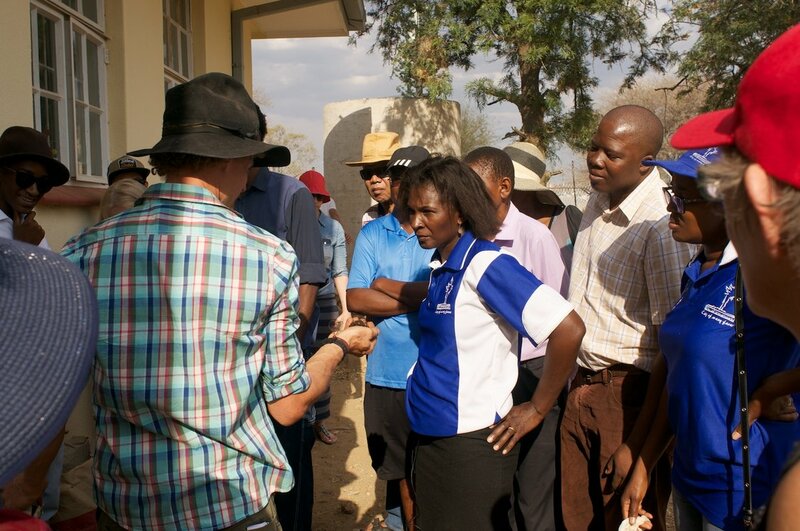 Guests can “Discover Moringa”, the new “superfood”, together with the learners of Van Rhyn Primary School and the Theresia Foundation which runs a Moringa Oleifera project with children in the Kavango region. Vegetarian food and refreshing drinks will be available. Namibia is an upper middle income country with a population of 2.3 million people. An estimated 42.3 percent of the population is undernourished due to high rates of poverty (26.9%), unemployment (28%), HIV and AIDS (16%) and household income disparities. Approximately 70 percent of the population depends on agriculture for all or part of their livelihood, while 40 percent are smallholder farmers growing grain crops mainly for their own consumption. Cropping conditions are generally poor and characterised by erratic rainfall and frequent floods and droughts. Namibia imports an average of 60 percent of its food requirements and is thus vulnerable to external price increases. The poor are often unable to meet their own food requirements and the Namibian Government, on average, provides food assistance to 300,000 people annually and nearly double or more in times of severe drought, as in 2013 and 2015. Incidence of over consumption and overweight (i.e. “over nutrition”) is increasing in rapidly developing countries, especially in conjunction to urbanization. This trend has added a new dimension to the concept of food and nutrition security. Many countries (e.g. South Africa, India, and Mexico) are now facing a “double burden of malnutrition” where increased intake of fat, sugar and sodium, increased prevalence of overweight, and increased associated ill health effects are occurring in conjunction to continued undernutrition. The concept of food and nutrition security addresses this double burden by emphasizing the importance of dietary quality in addition to total energy intake, thus addressing both positive (over) and negative (under) deviations from the nutritional optimum. Urbanisation often goes together with growing urban poverty and food insecurity related to unemployment, rising food prices, growing dependence on food imports, increasing dominance of supermarkets and fast food chains and challenges posed by climate change. 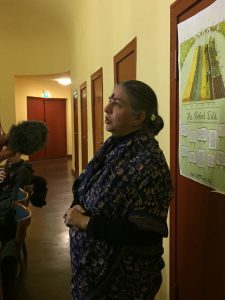 Urban agriculture is increasingly recognized by city authorities and civil society organisations for its capacity to strengthen the resilience of the urban food system, enhance access of the urban poor to nutritious food, generate (self-) employment and income, and help the city to adapt to climate change and reduce its ecological foot print. 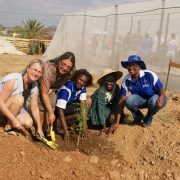 The Eloolo Permaculture Initiative brings Namibians together to promote and create awareness for Permaculture. Their mission is to improve human ecosystems to become healthy and abundant, guided by their ethics of care for the people, care for the earth and share of surplus. 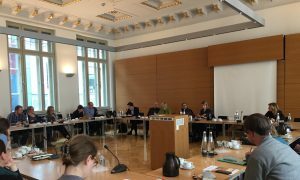 The World Future Council researches, identifies and spreads policy solutions that contribute to sustainable development. 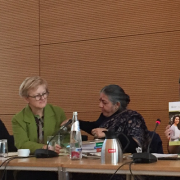 The Council consists of 50 eminent global change-makers from governments, parliaments, civil society, academia, the arts and business, including internationally renowned leaders such as Vandana Shiva,Frances Moore Lappe, Wanjira Mathai, Maude Barlow, Auma Obama. In the area of food and nutrition security, the World Future Council spreads policy solutions that can end hunger and malnutrition, promote a sustainable use of resources and apply ecological principals. We work with policy-makers at all levels and encourage and facilitate south-south cooperation. The aim is to build capacity among government officials and institutions for the governance for food and nutrition security. 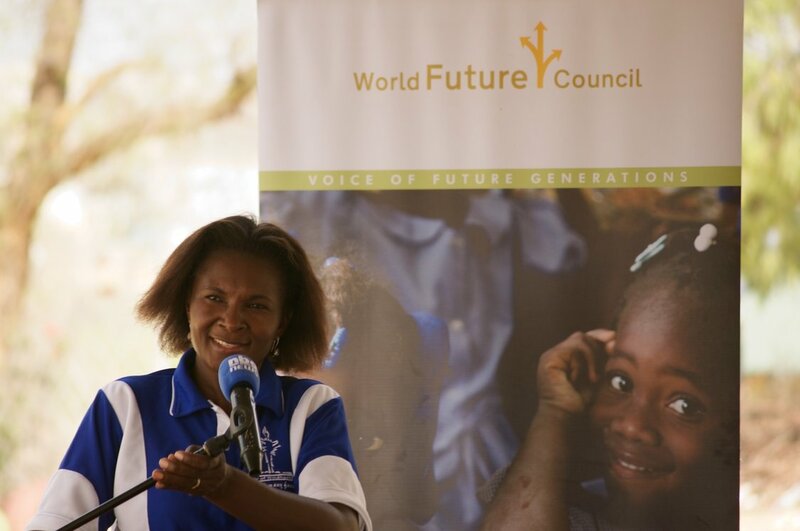 Each year, the World Future Council identifies one topic on which policy progress is particularly urgent for its Future Policy Award. The aim of the award is to raise global awareness for exemplary policies and speed up policy action towards just, sustainable and peaceful societies. In 2009, the first Future Policy Award honoured one of the most fundamen­tal human rights – the right to food. The inspiring winner was the com­prehensive policy framework for food and nutrition security developed and implemented by the Brazilian city of Belo Horizonte. 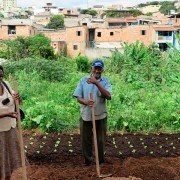 A central result of the policy framework is the near elimination of hunger in Belo Horizonte. There have been significant decreases in child mortality, reduction in childhood and adult malnutrition, increase in local and organic food production and consumption, more stable income for farmers, and greater access and avail­ability of food for all. Due to its effectiveness, this policy has strongly influenced Brazil’s national ‘Zero-Hunger’ strategy and has been recognised by UNESCO and the UN Food and Agriculture Organisa­tion as a model for cities in the Global South. The World Future Council works to spread this model, especially on the African continent. 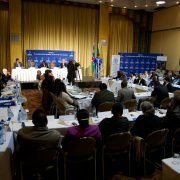 Windhoek, Namibia, 24 July 2014 – A declaration to end hunger in Namibia was adopted by mayors, policymakers, technicians, experts, and representatives of civil society organizations in Windhoek yesterday. The document promises a review of national policy and legal frameworks and a commitment to harmonize current efforts to tackling food and nutrition security. First concrete measures will oversee the establishment of Food Banks and greening the riverbeds in Windhoek. Windhoek/ Hamburg, October 15, 2013 – “Sustainable Food Systems for Food Security and Nutrition” is the theme of this year’s World Food Day on October 16. Meanwhile, the food and water crisis in Namibia, caused by what could be the most severe drought in decades, is threatening the lives of hundreds of thousands of people. Over 100,000 children under the age of five are estimated to be at risk of acute malnutrition and half of Namibia’s population is facing food insecurity. With the prospects of failing crops, diminishing cattle stocks, more boreholes drying up and an increased dependence on food imports, the outlook is worrying. people die of hunger. To showcase and explain existing policies that can help solve this tragic global failure, on World Food Day 2010 the Hamburg-based World Future Council Foundation will launch a new ”Agriculture and Food” section on their policy solutions website www.futurepolicy.org.